Titanium coated rock crystal – quartz cluster specimen. 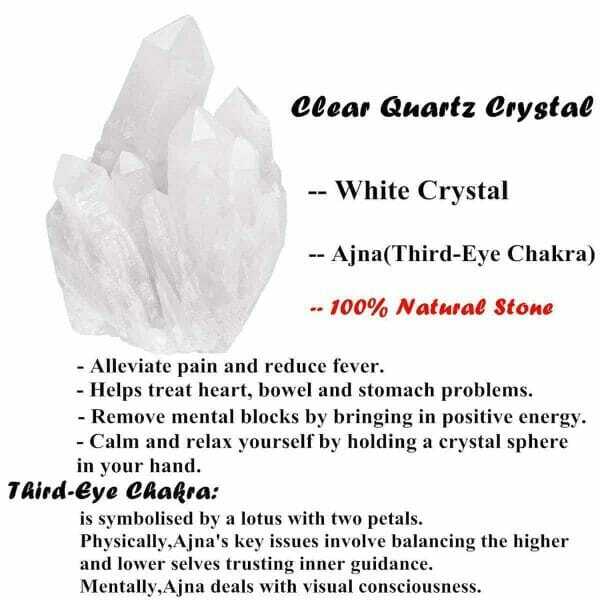 100% natural and high quality . 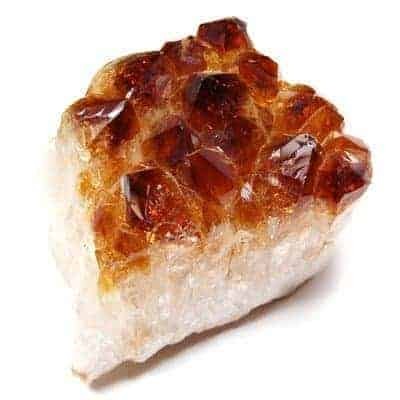 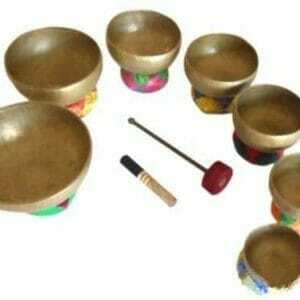 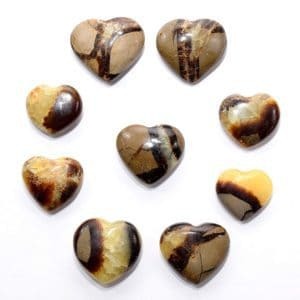 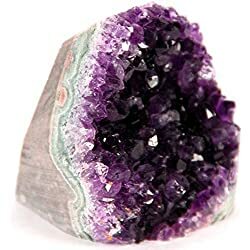 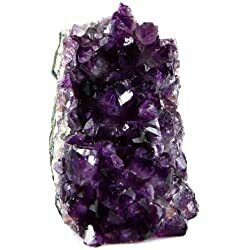 Great for cabbing, cutting, lapidary, tumbling, polishing, home decor purposes, or for exploring Reiki and crystal healing. 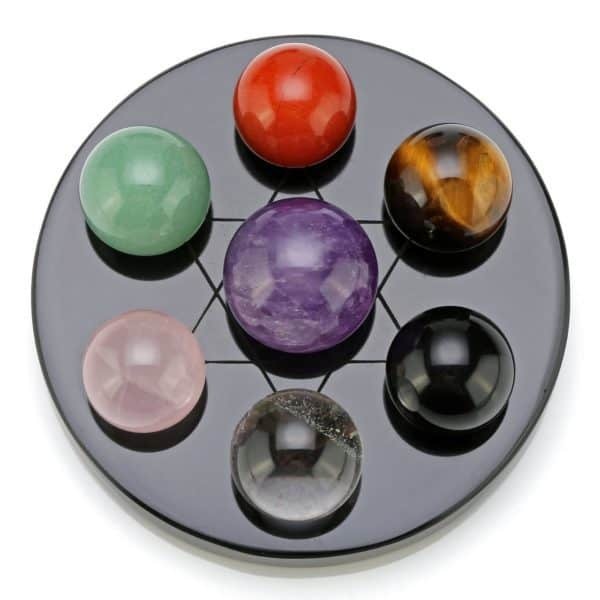 Each cluster might vary in shape and coloration – they are natural materials. 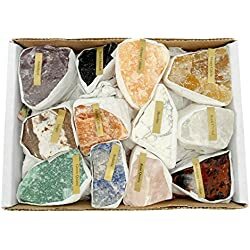 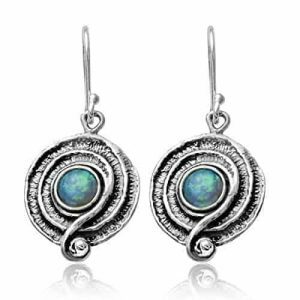 Each stone comes with a gift box, ready for giving. 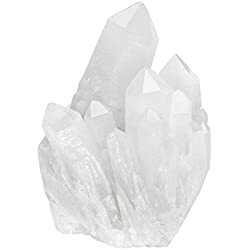 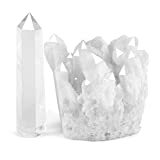 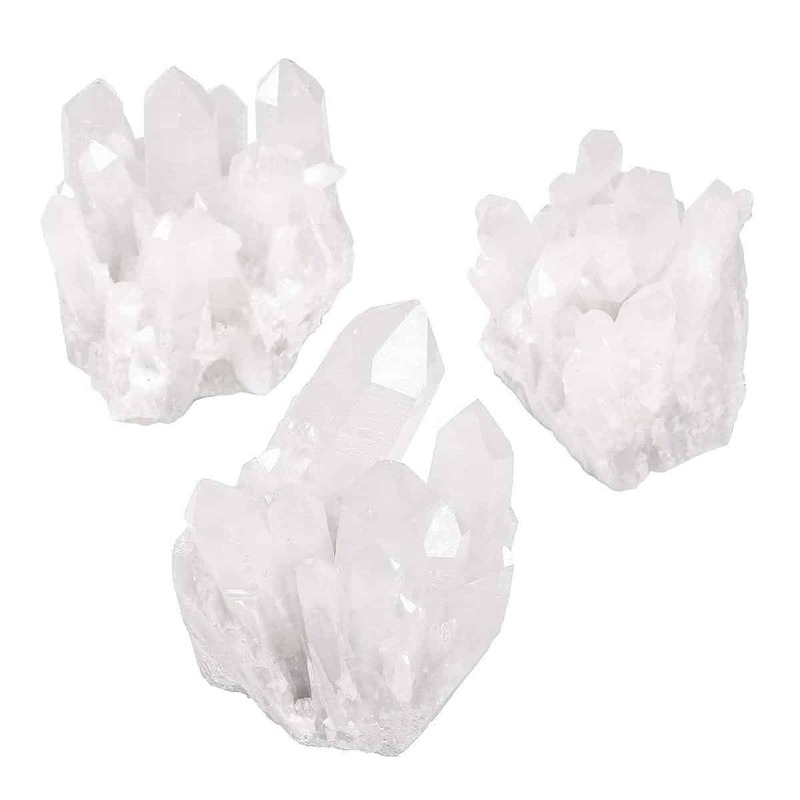 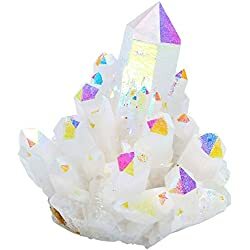 In cluster form, the healing rock crystal quartz points radiate their energies outward and into their surrounding environment. Your Clear Quartz Cluster is therefore perfect to be programmed with intent. 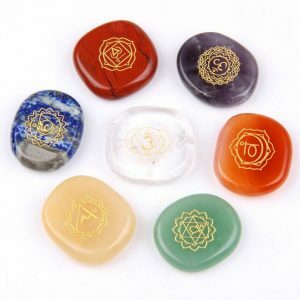 Simply meditate and program positive intention and then place it in a safe and central location so that it can emit the programmed energies. 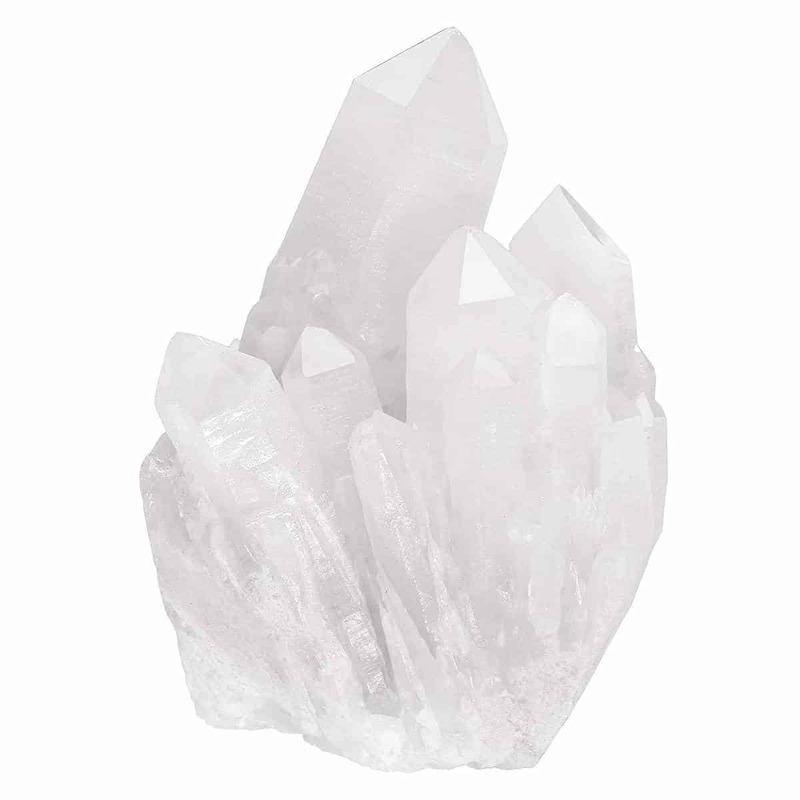 Placing a Clear Quartz Cluster on your desk where you work can help to relieve stress and promote peace among those who enter the room. 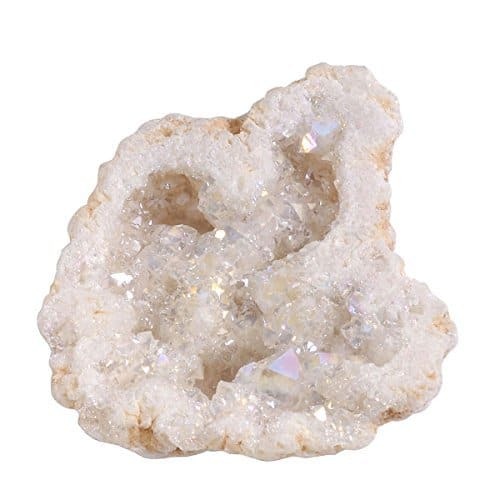 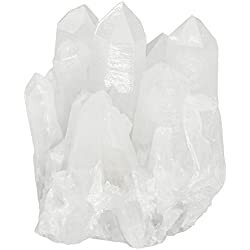 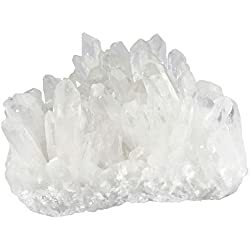 Multiple Clear Quartz Healing rock crystal Clusters, when strategically placed throughout the home or office, can have the beneficial effect of transmuting negative energies, and promoting higher vibrations within the environment. 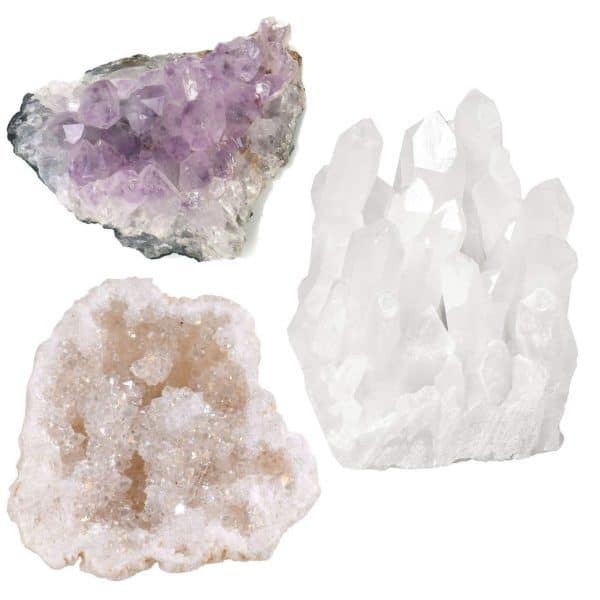 Some crystal lovers find that placing the healing rock crystals in a grid formation near entrance doors will keep negativity from ever entering the protected area. 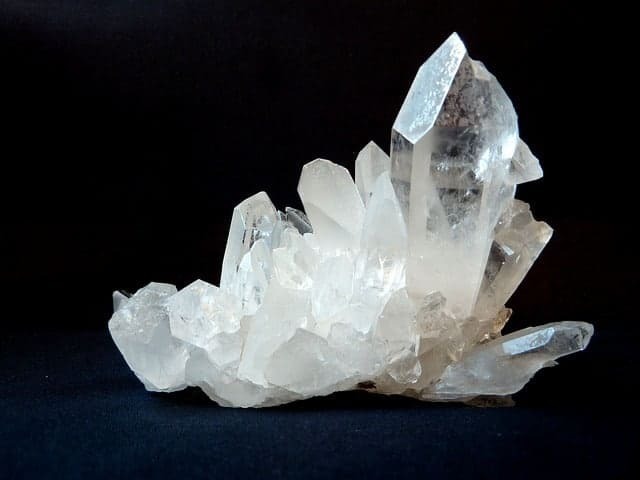 EXTRA Large Quartz Point Crystal Cluster ~ (1) Pound Specimen - Very Nice!! 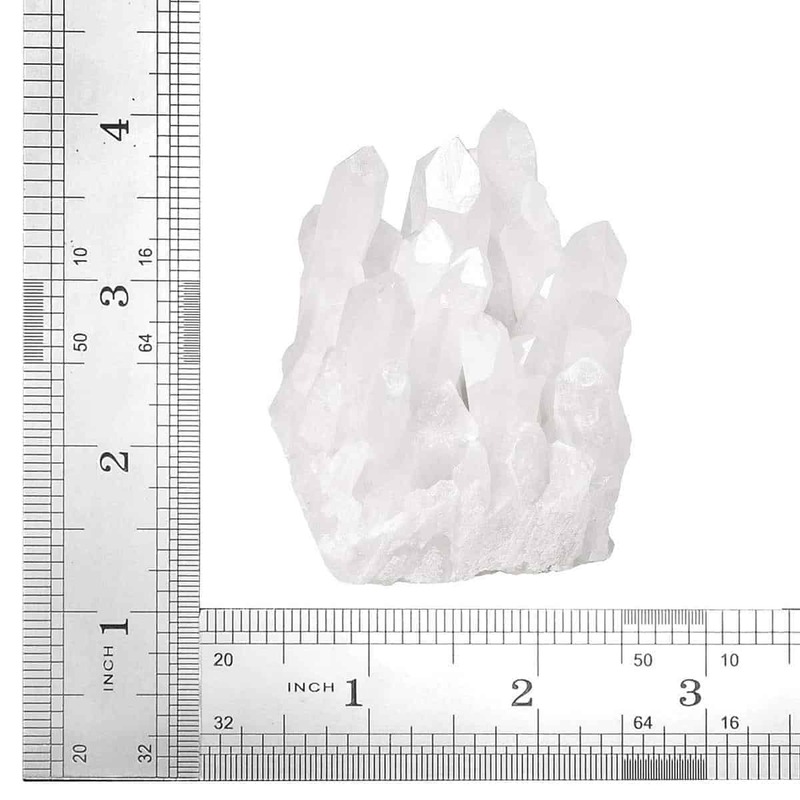 Clear+ab Color 1.37" to 2"